Stacey Solomon has been praised by fans after inspirational post about stretch marks. The Loose Women panellist, who recently announced that she is expecting her first child with TV presenter partner Joe Swash, took to social media with a sweet photo showing off her stretch marks and some words of inspiration to go along with it. Sharing a photo from behind that shows her sitting by the side of a swimming pool dipping her legs in, the mum-of-two refers to the stretch marks that are visible on the side of her back, captioning the post: ‘I honestly love how much stretch marks shine in the sun! Natural glitter Photo courtesy of Zachary’. Fans rushed to praise the expectant mum, who was overwhelmed by the response, writing: ‘So many lovely #bodypositive comments on here making me smile from ear to ear love u allll’. ‘Stacey love I’ve got stretchys and I haven’t even had a bambino yet!! !’ commented one fan on the positive post. ‘Its years of yo yo dieting..I love my silver lines!! You embrace them’. ‘We need more posts like this,’ raved another fan, ‘my stomach is absolutely covered in them (second pregnancy adding to it) and sometimes it’s so depressing. 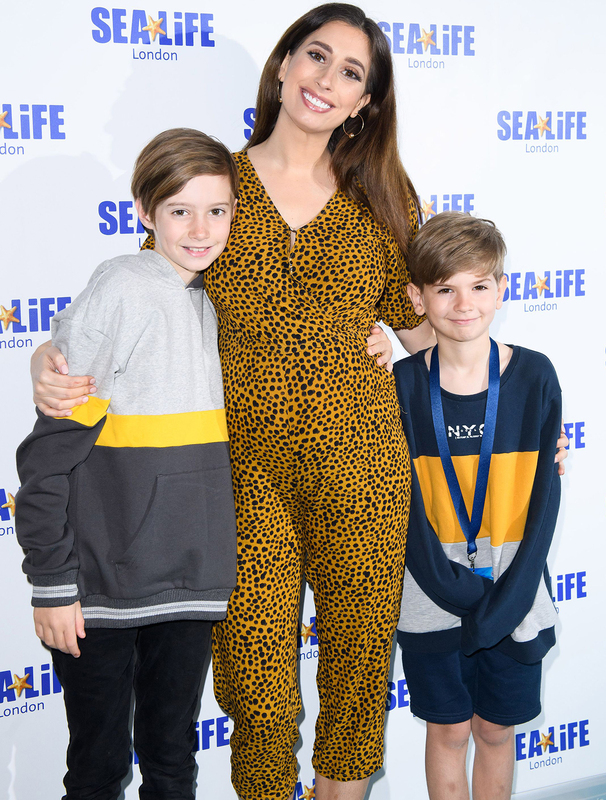 Stacey’s bun in the oven will be her third child, after welcoming sons 11-year-old Zachary and six-year-old Leighton from previous relationships, while Joe is already dad to 11-year-old Harry from a previous relationship.